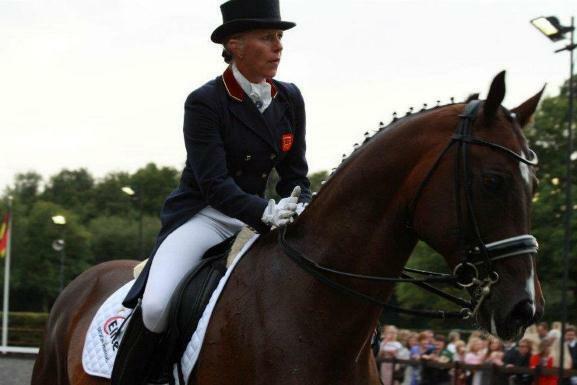 Vicki Thompson-Winfield, one of the finest Grand Prix dressage riders and trainers, began her equestrian career when she was ten years old, breaking and producing showponies at Brian Young's Crabbet Park in Crawley. Vicki showed exceptional talent, particularly with the more difficult horses, and quickly established herself as Brian's principal rider. At 17, she left school and took up an administration position at an oil company in Crawley where her mother was working as a PA to the director. However, within three months Vicki had resigned her position to pursue a professional riding career, having quickly realised that her aspirations lay not in the world of business but in the world of horses. 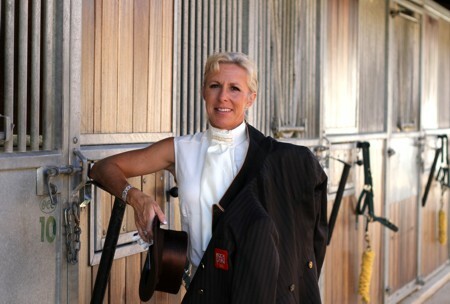 She allowed herself a two year window to gain the necessary qualifications and started working for Dierdre Robinson, who herself was training horses to Grand Prix. At 19, having successfully produced showhorses, she started to pursue her interest in showjumping and joined Olympic silver medalists David and Marion Mould but a bad accident, in which Vicki broke her back, put a sudden stop to her riding career. Her determination and strength of character saw Vicki back in the saddle within 12 months of the accident; Loreley Sea Hi-Fi, a 3 year old partbred Arab, arrived at the yard for breaking and Vicki took the youngster under her wing. 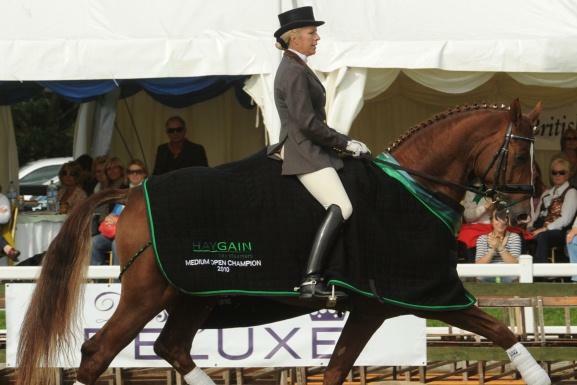 Having won every showing class they entered, the combination began to focus their efforts on dressage and made a move to Sarah Whitmore's yard in Edenbridge. It was at Sarah's yard that Franz Rochowansky, "Rocky", immediately spotted Vicki's talent. 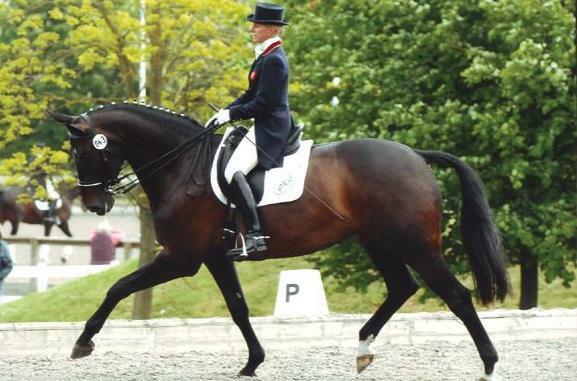 The former chief rider of the Spanish Riding School and Olympic dressage trainer encouraged Vicki to broaden her experience and gave her his Grand Prix horses to ride. 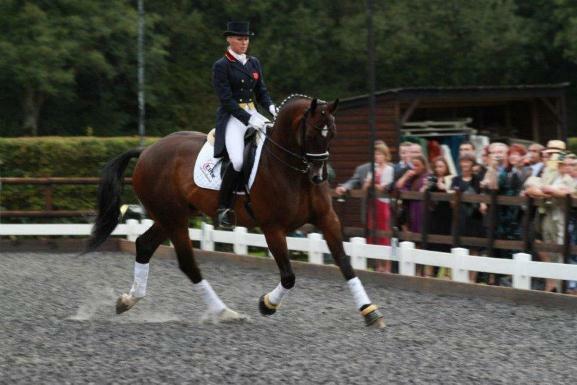 The training paid off and within six months Vicki and Loreley were selected for the British Young Rider's team. They went to the European Championships in Denmark and got the highest score of the British team, a prize for style and Loreley received the prize for the youngest horse. When Rocky left to set up his own training and livery yard at Sedgewick Park in Horsham, Vicki took the opportunity to join him. Amongst the many horses that they broke and produced, Rubens and Victor were two of the big success stories, winning several championships up to Grand Prix and going on to compete internationally at Grand Prix. In 1991, they bought Enfant for £4000 for a client. The 4 year old chestnut began his training with Vicki and was soon competing successfully with both Vicki and the novice owner. 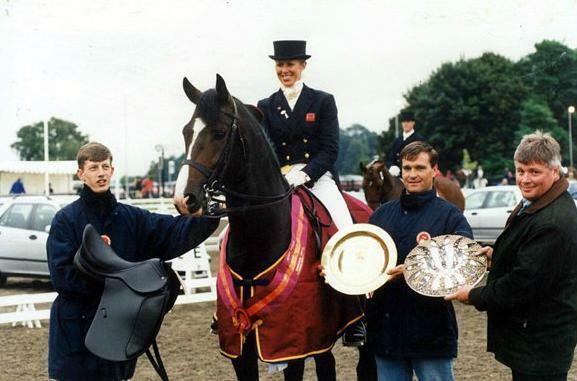 In 1996, five years later, the combination had their Grand Prix debut at the CHIO in Aachen where they gained the highest score of the British Team and, after only six Grand Prix appearances, were selected for the British Olympic team. Vicki took the 9 year old Enfant to Atlanta and they did brilliantly; on return the decision was taken to give the ride back to the owner. Vicki's next success was the gorgeous Ferro stallion, Jazz Dancer, on whom work had already begun when she and Rocky moved to Wayne Channon's yard in Exfold. The pair won every national championship they entered ranging from the Young horse classes up to Inter II before moving on to the big international stage. Several wins at Grand Prix made Jazz Dancer the perfect young rider's horse and, at 13 years old, he was sold on. Vicki met Ian Winfield, the owner of Oldencraig Equestrian Centre in the South of England, when he approached her with a request to find a ‘Big, Black and Flashy' horse for him. Vicki found him exactly that. They started seeing each other, Vicki moved her horses to OEC and it was not long before they fell in love. In October 2001, Vicki's friend and mentor, Rocky, died. This followed a bad fall which left him hospitalised in America until Vicki and Ian managed to get him back to the UK. His experience and knowledge helped Vicki to master the Classical Dressage doctrine which underlies her continued success today. After his death, Vicki concentrated on her own horses and helped Ian to create the stunning centre which is Oldencraig today. 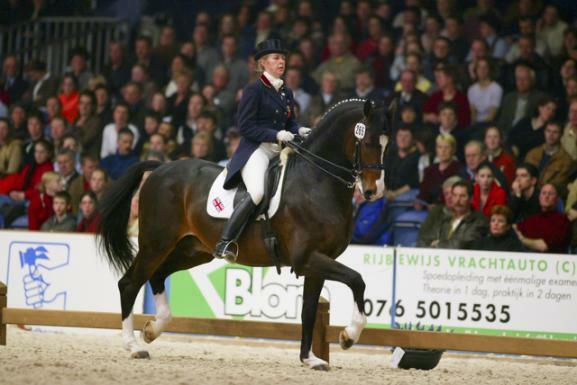 Until 2003 Vicki was helped by Bert Rutten, who rode the exceptional talented Clava Cimbel. She now trains with Johann Hinnemann, German Bereiter. Johann trained the German National Team 1997 -1998 alongside Klaus Balkenhol and has represented Germany internationally on a number of occasions including the World Championships 1986, winning a team gold and individual bronze medal, and the European Championships in 1987. 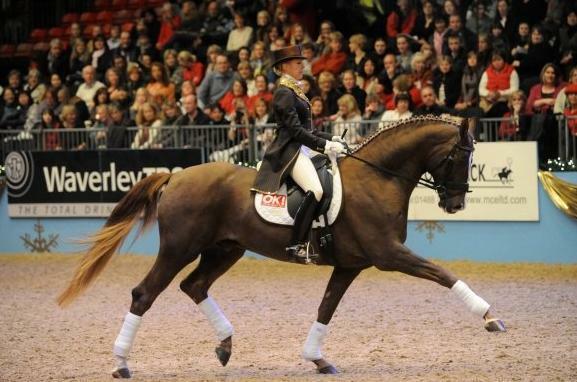 In 2009, Vicki took John and Toni Terry's 5 year old Stallion, Beltoni, to the World Breeding Championships in Verden. The Belissimo son out of a Rubinstein I mare came 9th in the small tour final. In 2010 they won the Nationals Medium open with 70.70% and came 3rd in the Advanced Medium with 79.47%. Toni is now more involved with the ride, giving her the chance to appreciate not only a top quality horse but also one that is finely and correctly trained. Vicki has also achieved success with Michael Todd's Clava Cimbel mare, Tristel, at Inter II level, qualifying her for the National Championships. Michael, who became an Oldencraig client in 2005, enjoys seeing both his mare and his other horses being trained to the highest standard and achieving success in the competition arena. Another success story is Sue and John Griffin's stallion, First Way, who came to her as an 8 year old in 2009 after many unsuccessful attempts by others to train the incredibly tricky chestnut. Vicky has managed to ride him to his best capability consistently. In March 2010 she competed him at Medium level and within four months had moved up to Advanced Medium, qualifying him for the Nationals. In January 2011, not quite a year after their first competition, the combination achieved 65.12% in their first PSG. A month later, at the Addington Winter Regionals, the pair won the PSG with 72.60% and qualified for the National championships at Inter I. 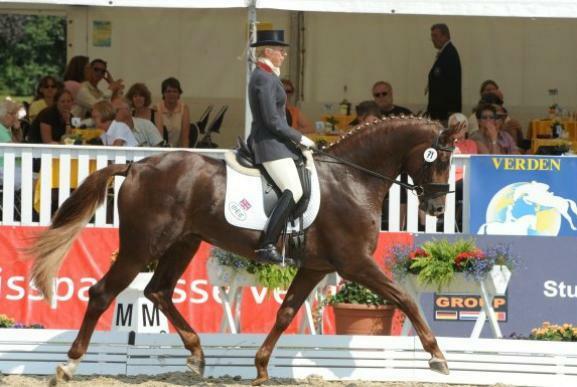 "Queeny", as Carl Hester affectionately calls her, is also at the top of her game with her own Oldencraig Papillon. This stunningly moving gelding was bought from Germany and the partnership has proved to be quite a rollercoaster. But Vicki's patience and consistent approach has finally paid off and the combination is currently ranked in the top 10 of the Small Tour. Today, Vicki Thompson-Winfield, who has 19 National Champion titles and won at every level at least once, offers her exceptional riding and training skills to Oldencraig livery clients and visitors to the centre. She trains her own competition horses at the centre and helps clients with their horses, ranging from Novice to Grand Prix. With the assistance of her Advanced Rider team, she takes horses in for breaking and training, prepares them for sale presentation and competition, teaches on advanced schoolmasters and offers intensive training courses for many clients, both from the United Kingdom and overseas. Vicki is a perfectionist and does not accept second best; under her watchful eye and constant presence, horses, staff and clients of Oldencraig are able to realise their full potential both in terms of correct training and in being able to produce results in the competition arena. If you would like to read more about Vicki's career - please follow this link. If you would like to read some articles about Vicki that made it to press, click here. If you would like to get in touch with Vicki, please follow this link.